Phillip is our Pet of the Month for August. Just before his 13th birthday last December, Phillip was seen at Hawthorne Hills Veterinary Hospital after his owner noticed a small amount of blood on Phillip’s fur. 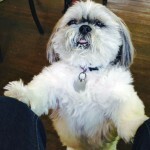 As an older Shih Tzu, he has a number of age related changes but overall he had been doing well at home. Dr. Robin Riedinger examined Phillip and found some swelling just below his tongue and an area of bruising along his gum line. There wasn’t any evidence of active bleeding although one tooth looked like it may have been injured. Dogs chew on all sorts of items and can certainly cause damage to their gums and teeth leading to blood traces on their fur from licking or drooling. The rest of Phillip’s exam was normal, although his owner mentioned that his appetite was ‘off’ just a bit. To ensure there wasn’t an underlying health issue that contributed to the bruising along the gums, blood and urine samples were submitted to the laboratory. If everything was normal, we were planning a dental procedure to further evaluate the teeth and mouth. When the lab results came back, we discovered that Phillip had a dramatic reduction in the number of platelets in his blood. This was quite alarming and warranted additional testing and re-assessment to uncover the cause. Platelets play an essential role in preventing bleeding; when they become depleted bleeding can go unchecked and become life threatening. Phillip returned to the hospital the next day. Within 12 hours of the initial exam, Phillip was showing evidence of bruising on his belly, his back, the spot where we drew blood, and further bleeding was noticed on his gums. All of his symptoms were pointing to a diagnosis of Immune Mediated Thrombocytopenia – a condition where the body attacks its own platelets. Phillip was started immediately on prednisone (a steroid) while we waited for additional test results. Platelets are produced by the bone marrow and circulate in the blood. If there is a cut or injury to the tissue, platelets stick to the area that is bleeding, form a plug and send out chemicals to help the body form a more permanent blood clot to allow the body time to heal. This normal process keeps us from bleeding excessively from all of the usual bumps and bruises that happen with normal living. The role of the immune system is to keep the body healthy. It recognizes and responds to antigens: bacteria, viruses, parasites, toxins, fungal particles and other foreign materials that invade or enter the body. White blood cells recognize these invaders as ‘foreign’ or ‘non-self’ and create antibodies which ensure the body is prepared to fight the next time it encounters that particular antigen. Sometimes the normal immune response goes awry and the immune system reacts to the body’s own tissues and marks them as ‘foreign’. When that process is directed at platelets it is called Immune Mediated Thrombocytopenia (IMTP). The disease starts and progresses very quickly; within hours to days the symptoms are evident and the consequences can be devastating. It had been over a year since Phillip’s last vaccination, he wasn’t on any medications that might have triggered his immune system, the tests showed that he did not have any tick borne diseases and he was negative for heartworms. Despite starting the steroids, by the following day Phillip was showing more signs of illness, his red blood cells were now decreased (anemia) and we could hear a heart murmur. Because his symptoms were progressing quickly, Phillip was transferred to a specialty facility for additional care. He had an abdominal ultrasound (which unfortunately revealed several nodules in both the liver and spleen), and chest radiographs to look for evidence of cancer. To help stabilize his body he received a blood transfusion and was started on several other medications to treat his symptoms and support his organs. Phillip was very fortunate. The discovery of low platelets just as his symptoms were starting allowed us to initiate treatment before Phillip was dangerously sick. Thrombocytopenia can be a very scary condition and not all patients respond as well as Phillip did. Within 3 weeks he was strong enough to undergo surgery to have his liver biopsied and his spleen removed. Luckily both tissues showed no evidence of cancer and despite a few setbacks, Phillip has made a full recovery. He was tapered slowly off of all medications over 5 months and was healthy enough to finally have his teeth cleaned this summer. 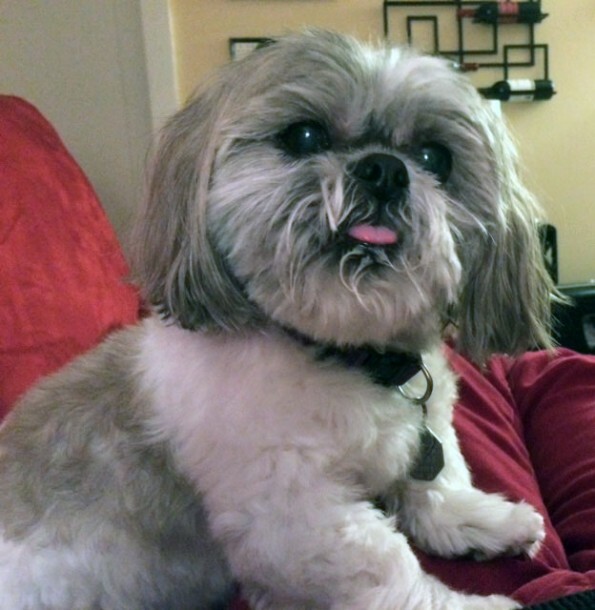 We don’t know what exactly triggered Phillip’s immune disease, and he will need to be monitored closely for the rest of his lifetime for any signs of a recurrence, but he is back to being a happy healthy senior dog. Here is more information about the four types of hypersensitivity reactions. Delayed contact reactions happen also with things like poison ivy or some chemicals; contact with the skin creates inflammation that is evident 48-72 hours later. Some reactions are quite delayed – ex) leprosy – where a granuloma forms 21-28 days after the exposure to the bacteria. So great to hear Phillip recovered thru such an ordeal. My 80lbs dog fell ill very similar to Phillip Jan 25. Just like Phillip, I noticed she had small amount of blood on her paw. I couldn’t see anything but bandaged it up a bit and thought she must have scraped herself. The next day she started to bleed in her gums and urine and rushed her to a specialty ER. They started her on Prednisone and doxicycline in case it was a tick borne disease. Her platelets were very low but her RBC was normal but due to the bleeding, it began to decrease rapidly. She had bruising all over her stomach, blood in her stool, blood in her joints. I thought I had lost her. 2 blood transfusion her levels started to rise around the 5th day. It is now 3 1/2 months after she became ill and she is doing really well. It’s been tough dealing with the symptoms of the steroid (lost her strength to get up from the floor, would loose her balance and fall often etc). She is down to 7.5mgs of steroids and she is doing check up and tests every month. She is doing great and I can’t believe that she is recovering. I am finally at the point where I can relax and feel optimistic. I think back on what could have caused this. She is such a healthy, athletic dog, it didn’t make much sense. That day before she began to bleed out, she went hiking. I think back now that maybe it was a tick. She pulled the tick off and that was the small blood trail on the floor and on her paw. From day 1 she was started on doxicycline, the vet told me there was no point in testing for tick disease because the meds would have cleared it up and the test would show negative even if that was the cause. It’s really the only thing I can think of. Hiking and bleeding on her paw the day before all of this seems too much of a coincidence? Thank you for sharing your story. 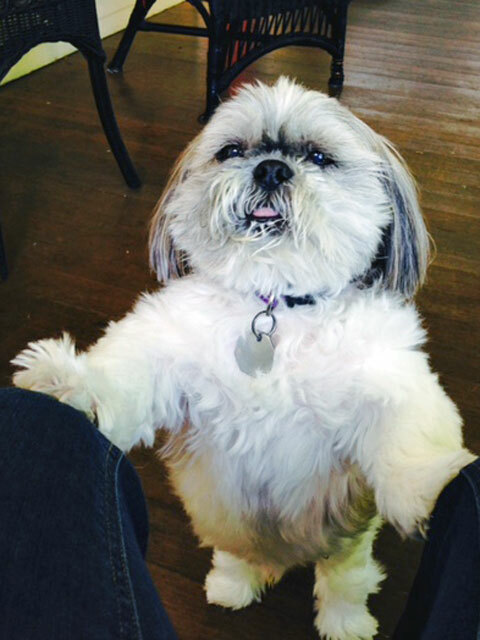 We are so happy to hear your dog has improved with treatment.